Happy Wednesday, all!! 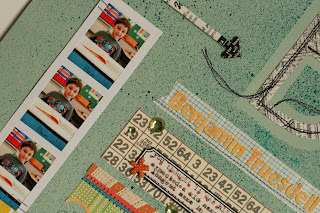 I'm here today to share the misting technique that I used on my "B" layout in the Joyland gallery. I have to admit that I came at this page backwards. 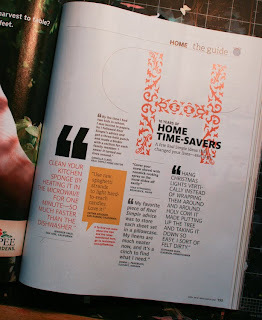 I was flipping through Real Simple and came across this page and fell in love with the large monogram. I loved the size of the letter in relation to the other bits and pieces on the page, as well as the detail of the thinner, curving lines within the letter. I knew I wanted to recreate the look with mist, and begun flipping through my photos and old blog entries in search of anything that lent it self to being scrapped with a monogram. 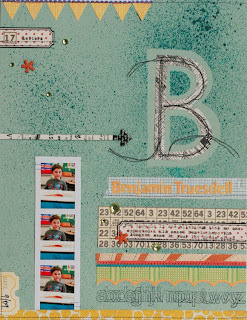 When I came to an entry talking about how Ben had the longest name in his first grade class, I knew it would be the perfect story to go with my technique. 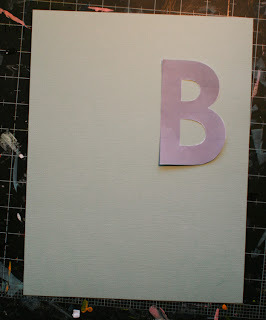 I started by printing a large "B" in light gray (to save ink) on regular printer paper. 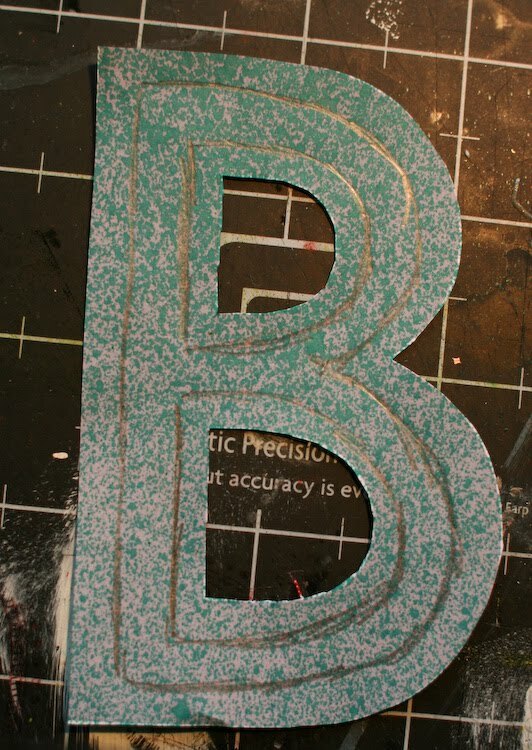 I cut out my B and placed it in about the same place as it was in my inspiration piece. 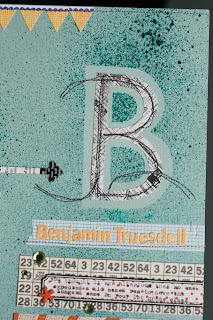 I chose a simple, sans serif font - I didn't want it to compete with the other details I knew I'd be adding. 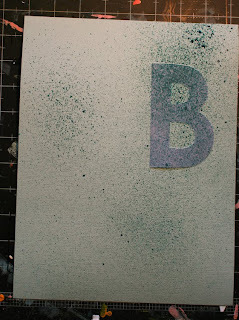 I placed the sheet in my misting box and sprayed it with turquoise mist - I concentrated most of it towards the B mask, so that the outline would be well defined. 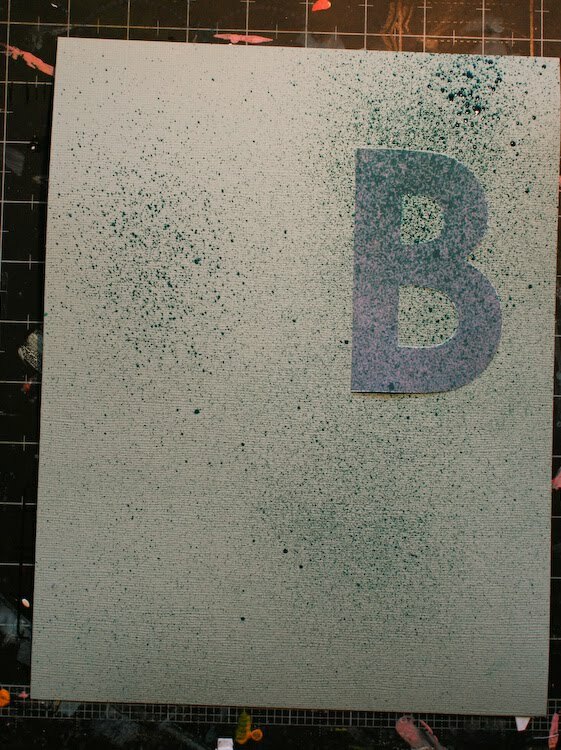 After I'd sprayed the mist, I took my printed B and drew a thinner version and cut it out. I used this as a pattern to cut my patterned paper to fit inside the masked off B on the page. I added stitched lines curving out from the body of the B to mimic the look of the inspiration piece. 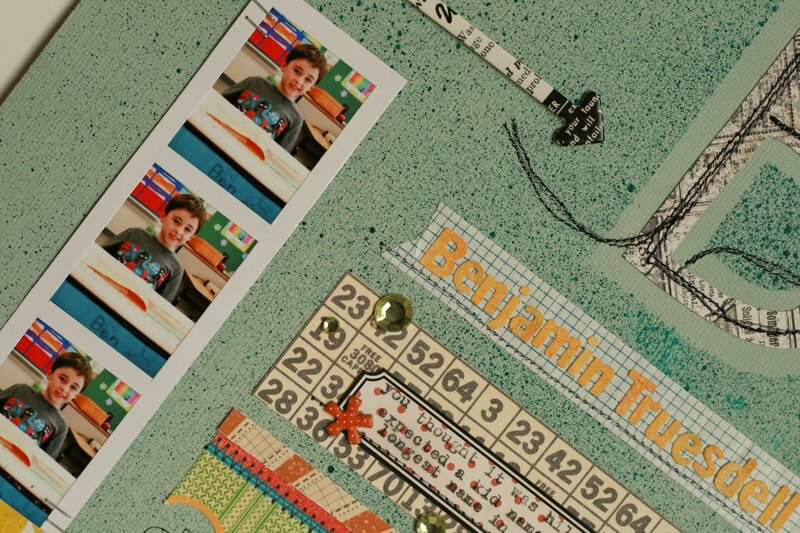 Once my monogram was finished, I added strips of patterned paper and paper tape, as well as photos in one of the K&Co Handmade frames. 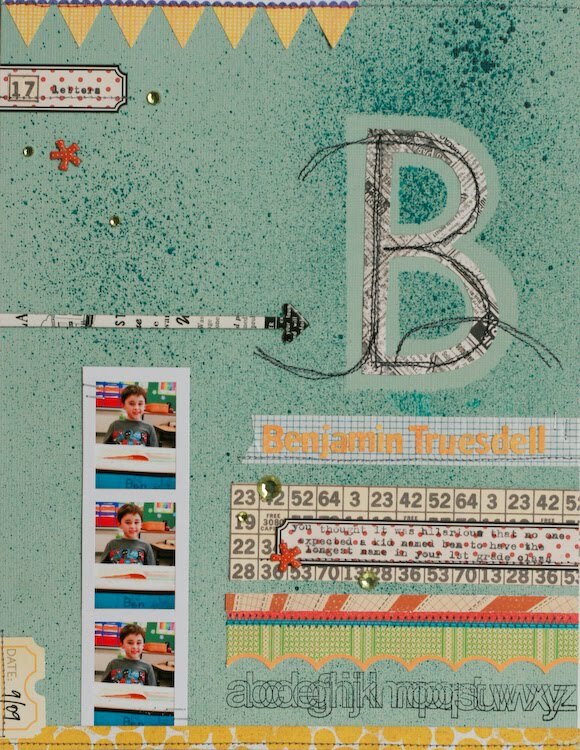 I used the alphabet border stamp to fill in some awkward space under my patterned paper - it fit the space and tied in to the theme. One of the Schooltime ABC borders would have worked well, too. Nice tutorial! I shall try it!! Thanks for this! Love to know the colors of the mists everyone's using on their pages!! !